With the trade show season in full swing, bike enthusiasts are getting really excited about the new models coming out in the next year. Some are already on the road, and there are a few that really stand out as top contenders for being the best new bike of 2015. Here are just a few of the incredible motorcycles that are going to be hitting the road in the new model year. 1. 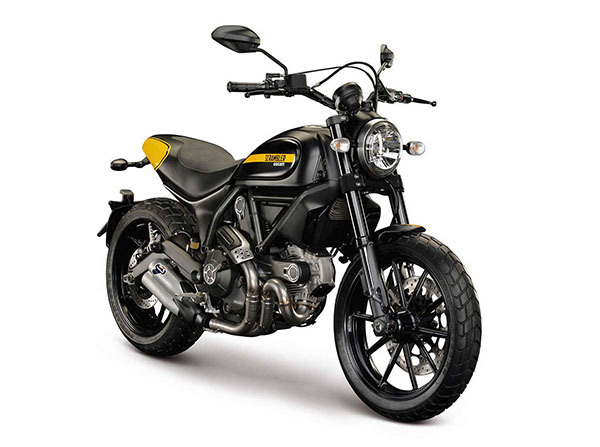 Ducati Scrambler Full Throttle – The Scrambler line in general is pretty exciting, but the Full Throttle looks like a classic racing bike. Retro styled with yellow highlights and an 800cc V-twin power plant, this is going to be a fast ride. The cast alloy rims look great and should hold up to even the hardest use. 2. Kawasaki Vulcan S – Kawasaki had a great showing this year, not only upgrading several of its previous models to get rid of some flaws, but also introducing a new middleweight in the Vulcan S. This cruiser is customized to your specifications, with the factory able to change the handlebar, seat, and foot peg positions for your size. 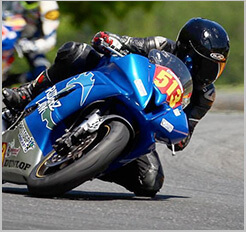 The engine is also impressive, with a 650cc, parallel-twin powerplant that sports double-overhead cams, liquid-cooling, and four valves per cylinder. 3. Yamaha XJR1300 – Yamaha decided with their XJR1300 that they would go full retro with the design. Not only does it look like something straight out of the 70s, it is built like it. An air cooled, stout, big-bore, inline-four engine powers this thing, with a flat-black, four-into-one exhaust. As if that wasn't enough, the twin rear shocks complete the experience, as well as mods like a shorty front fender and seat cowl in carbon fiber. This is a great, classic ride. 4. Moto Guzzi 7V II – And speaking of retro bikes, Yamaha isn't the only one getting involved in the throwback business. Guzzi has drawn from their 1960s Italian street bike designs to produce the new 7V II. The engine is 750cc and shaft drive, making for easier maintenance. The changes are subtle, such as a frame redesign that altered just enough to add to ride comfort or the integration of ABS and traction control. The six speed transmission is also new and a welcome addition to this great new bike. 5. KTM 1290 Super Adventure R – This is the best showing for adventure bikes that has come out this year by a long shot. The Super Adventure starts with a 1,301cc V-twin powerplant capable of cranking out a monstrous 150 horsepower. Not only can it move, it also has an ABS that detects lean angle so that you can actually break while turning if necessary. The larger fuel tank means longer rides and the side cover vents do a great job of safely getting rid of the heat from that enormous engine. 2015 is looking to be a great year for motorcycle lovers with a lot of incredible offerings.